Creator is exactly "The Oklahoman "
Article in The Oklahoman about gas and electric heat on Monkey Island. 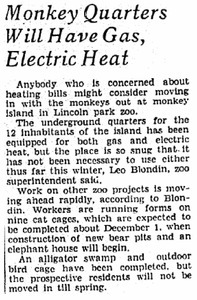 Also mentions other zoo projects including the cat cages, bear pits, elephant house, alligator swamp, and outdoor bird cage. 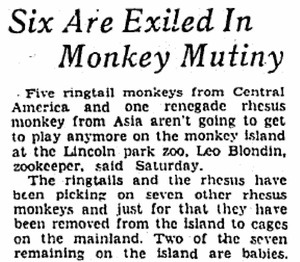 Article in The Oklahoman about moving aggressive primates from Monkey Island. Rites At Zoo Set At 3 P.M. 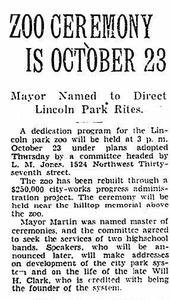 Article in The Oklahoman announcing the final details for the Zoo Dedication Ceremony. 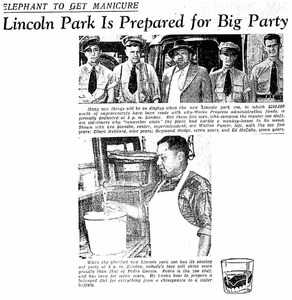 Images and Descriptions of Lincoln Park Zoo staff and the preparations they made for the dedication ceremony. 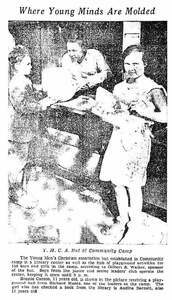 Article inThe Oklahoman annoucing the Zoo Dedication Ceremony.